Despite rapid economic progress, India still has one of the highest number of malnourished and hungry people in the world and so India should diversify agriculture for balanced and sustainable growth, agro-experts said here today.“India has come a long way from hand-to-mouth food scenario to food security and now considering withdrawing subsidy for competitive agriculture. But a new set of challenges have emerged before the agro-sector,” RS Paroda, former Director General of Indian Council of Agricultural Reaserch, said. He was speaking at the 77th Annual Conference of Indian Society of Agricultural Economics, Mumbai, which was organised by College of Post-Graduate Studies, Central Agricultural University (Imphal) at Umiam. Paroda said India is now facing the second generation problems of low factor productivity, polluted environment and high incidence of diseases and pests. Commending the present Central Government for its commitment to develop the agricultural sector, he said, but a clear roadmap in this direction is needed. 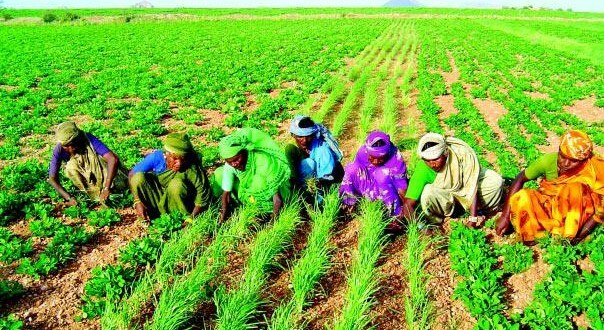 “Everyone agrees upon the idea to double farmers’ income, but at the same time government has to increase the investment in agriculture,” he said. Alagh said that like China, the NITI Aayog may also be given the power to allocate fund for agricultural development. The allocation in agriculture was steadily increasing under subsequent Planning Commissions, but it is not the case under NITI Aayog. “Agriculture has to contribute considerably towards GDP, if India has to progress sustainably. Water and energy are the two pillars which will improve the growth rate,” he added.